Heli Air, the UK’s largest light helicopter company, is delighted to announce the appointment of The Lord Glenarthur DL as Chairman of British European Aviation Ltd (BEA), Heli Air’s holding company. The appointment has been made as a result of the continued expansion of both the Heli Air business and that of its sister company within BEA, Booker Aviation, a fixed wing pilot training academy. Lord Glenarthur has had a distinguished career in both industry and Government. Having learned to fly whilst serving in the Army, he spent a number of years as a helicopter captain with British Airways Helicopters flying in support of North Sea oil operations before entering Government and fulfilling a number of ministerial roles. In 1989, he became a senior executive with Hanson plc and has held non-executive and advisory positions with a number of other organisations. A retired Fellow of the Royal Aeronautical Society, he is currently President of the British Helicopter Association. 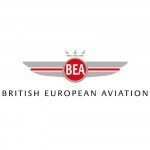 Incorporated in 2010, British European Aviation Limited is located at Wellesbourne Airfield in Warwick and is the holding company for Airways Aero Associations Ltd trading as Booker Aviation and Heli Air.